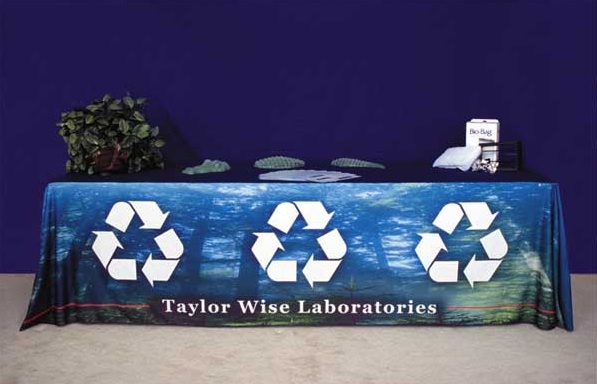 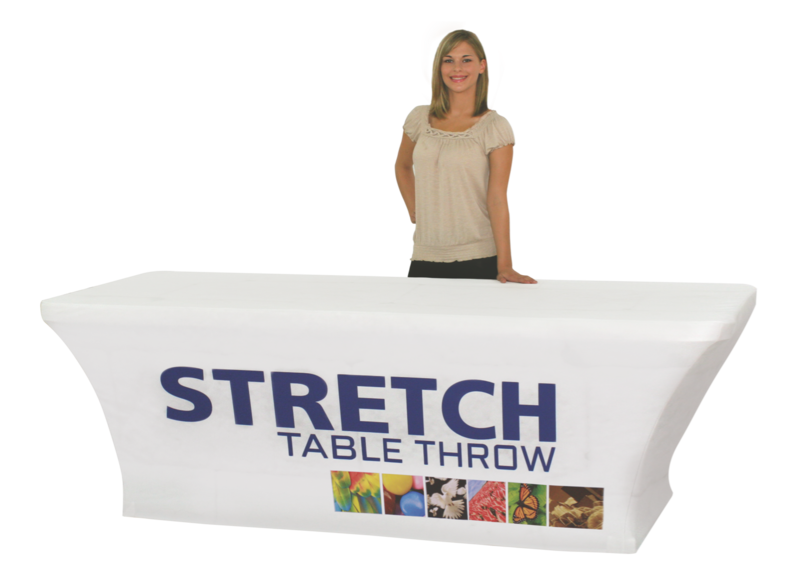 Trade Show Table covers and table runners from Thompson Kerr Displays, come in a variety of sizes, fabrics, colors and pleat styles. 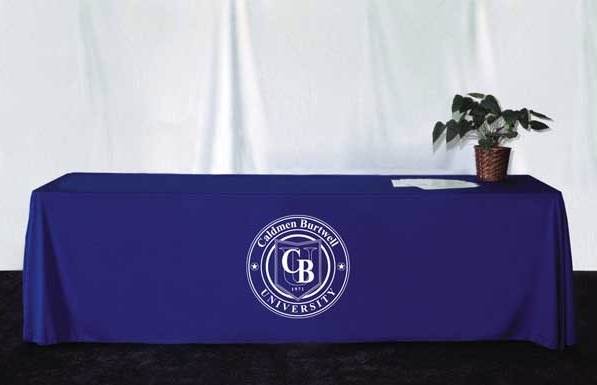 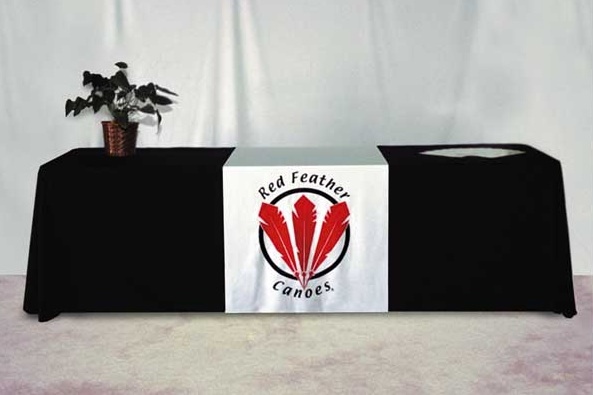 The table covers and runners allow you to create a complete presentation and a lasting impression. 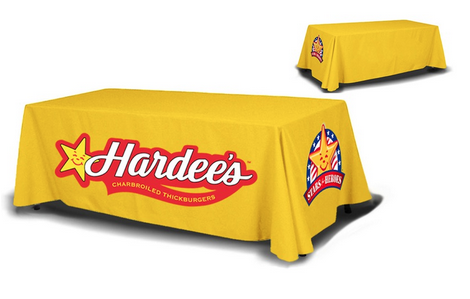 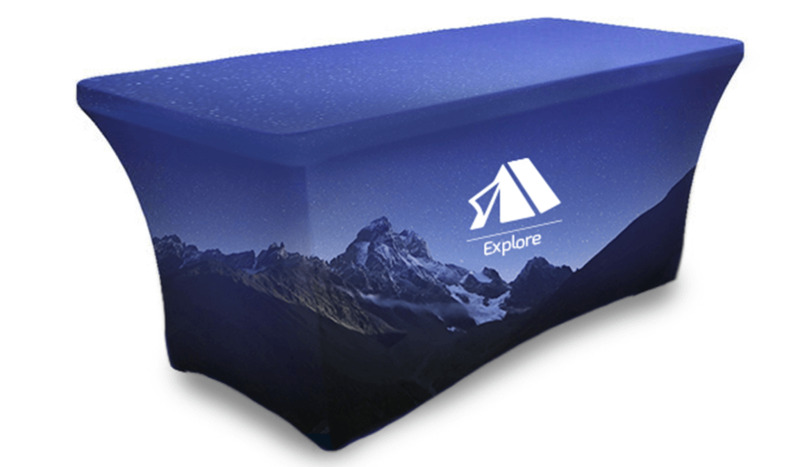 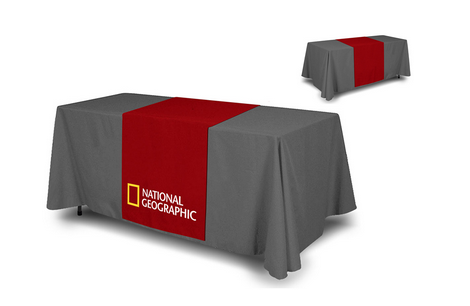 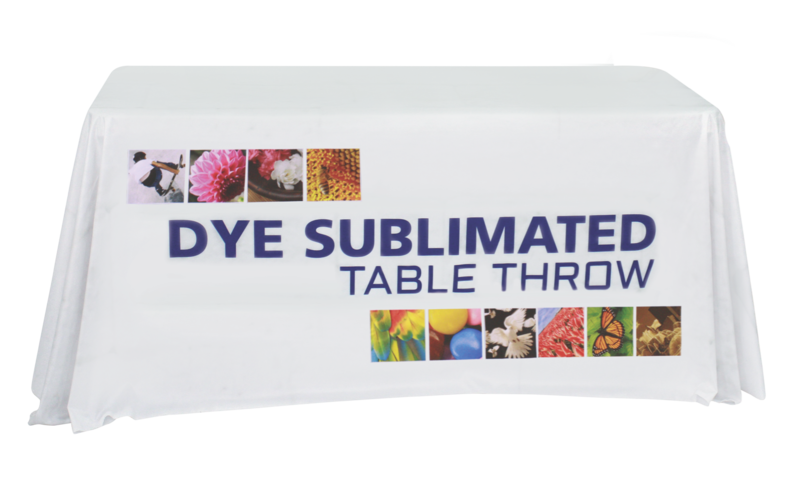 Available as unprinted or printed table covers and table runners with your company name, logo or marketing message.